DCT Gdansk is Poland’s largest and fastest growing container facility, and the only deep-water terminal in the Baltic Sea Region having direct ocean vessel calls from the Far East. Located in the heart of the Baltic in the Port of Gdansk, DCT is the most Eastern facility in the Gdansk – Le Havre range. 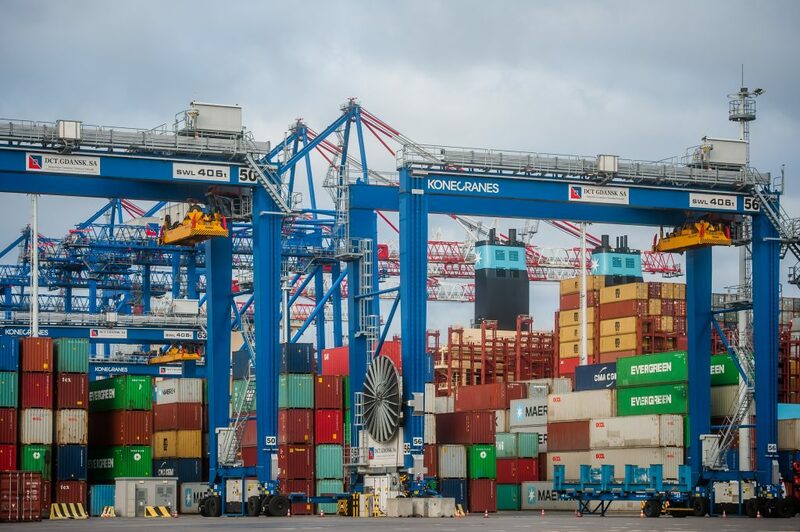 DCT was the first terminal that attracted direct calls from Asia to the Baltic Sea and is today the destination for the largest vessels in the world departing from China, Korea and other Asian countries. This process initiated a split of the most important shipping trade-lane in the world, Asia – Europe, into Asia – North West Europe and Asia – Baltic. The terminal handles Polish import and export, transshipment and transit. With an easy nautical accessibility comprising of 17.0m deep approach channel and up to 16.5m depth along the berth, year-round ice-free access combined with operational excellence , DCT is a natural gateway for all CEE containerized trade volumes. Thanks to infrastructure investments of the Polish Government and the City of Gdansk, DCT terminal is well linked with the international hinterland which ensures its ideal position as a true Central European and Russian Gateway.